Greetings friends and fellow crafters, LeeAnn here with my first post of 2018 with Tape Technologies. 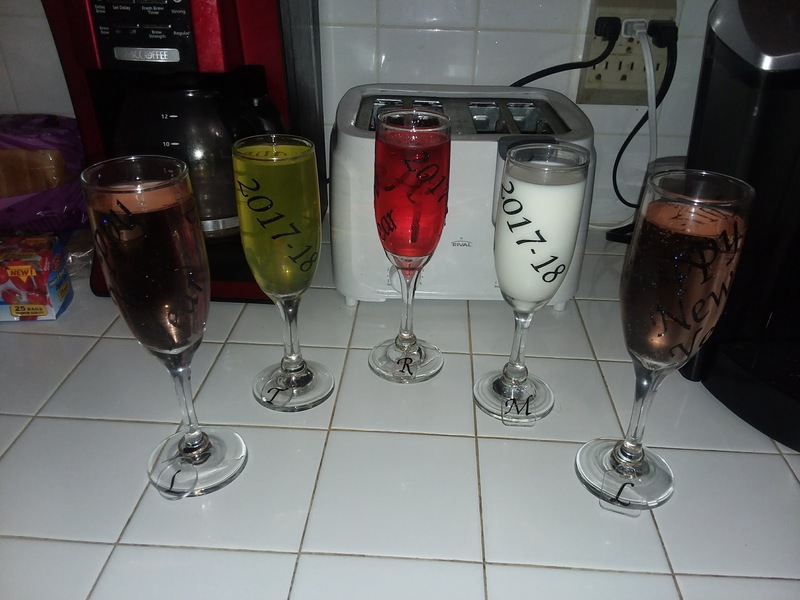 For January we are usign the UltraFX Vinyl which is so great that I knew up front a New Year's project was in order. This year we decided to keep it quiet, I was home in my craft room getting plans ready for 2018. 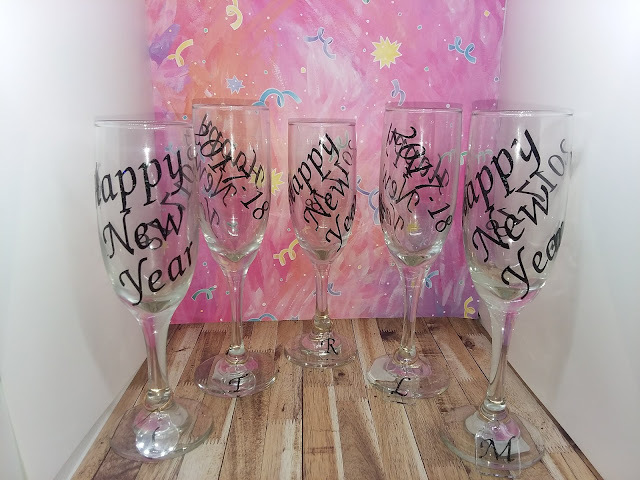 I decorated these Champagne Flutes for my brother in law, sister in law, nephew, husband and myself using UltraFX Vinyl and my Scan N Cut. "NEW Ultra FX colors are almost indescribable. The colors are unique, yet very appealing. The Glitter effect is great, but then… something more. Only seeing is believing." I really wish you could see the effect in these glasses as it is amazing. I put Happy New Year on one side and 2017-18 on the other of each flute, and made little hang tags with each person's initial so we would not confuse our flutes. Now, my sister in law and I have the same first initial, so her tag is round while mine is square, and our husbands match ours. I hope you have enjoyed this project, and see how easy it is to use this vinyl to make your own designer Champagne Flutes. Happy 2018 and see you next month.